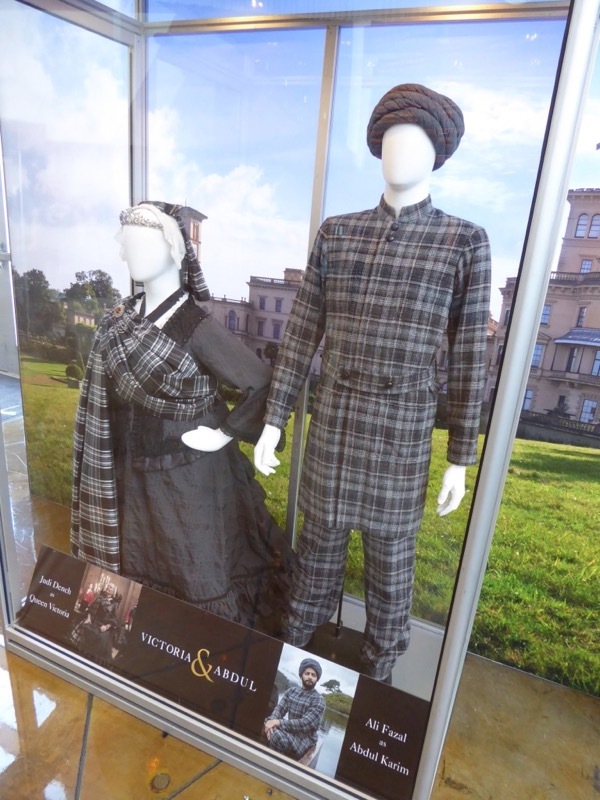 Victoria & Abdul tells the story of the unlikely real-life friendship between 'Queen Victoria' and an Indian servant, 'Abdul Karim'. 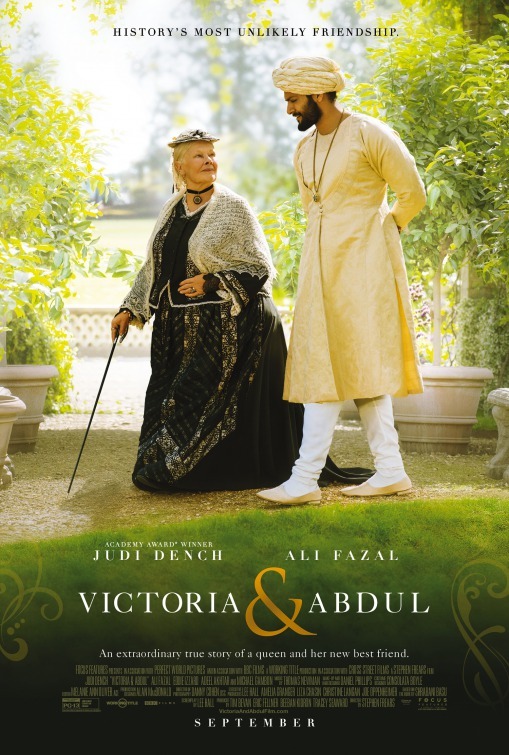 Reprising her 1997 role from the film Mrs. Brown, Dame Judi Dench once again plays the cantankerous queen opposite Ali Fazal in director Stephen Frears cinematic adaptation of the 2010 book of the same name by Shrabani Basu. 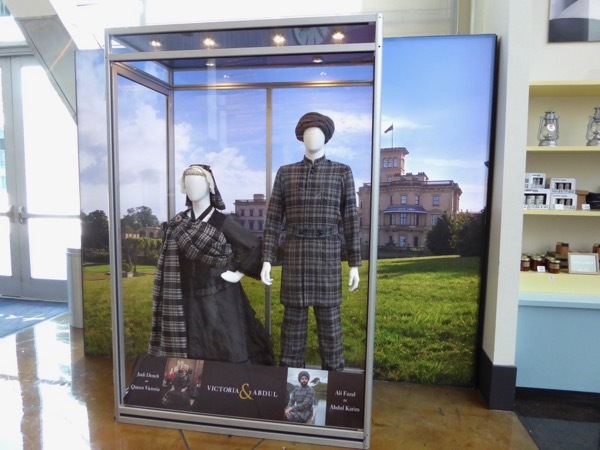 These marvelous costumes from the movie were photographed on display at ArcLight Hollywood cinema on September 12, 2017. 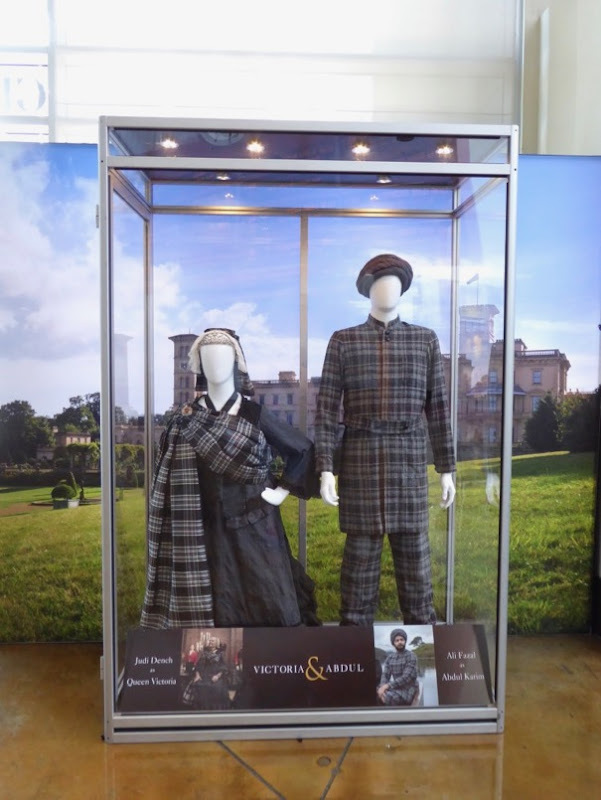 Consolata Boyle was Costume Designer on this historical comedy drama and you can also see her Oscar-nominated costumes in Florence Foster Jenkins and these costumes from The Iron Lady movie. 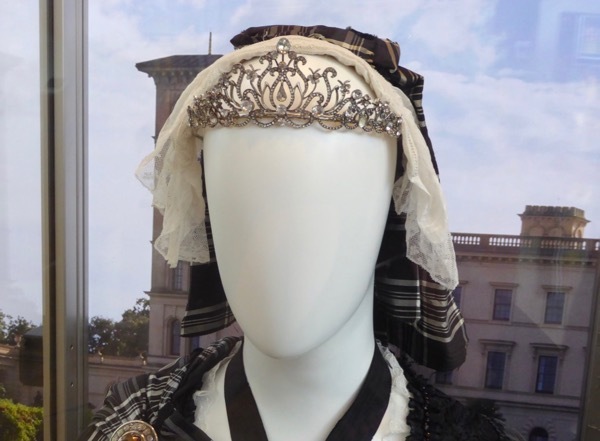 Queen Victoria reigned from June 20, 1837 until her death on January 22, 1901, she also adopted the title of Empress of India from May 1, 1876. 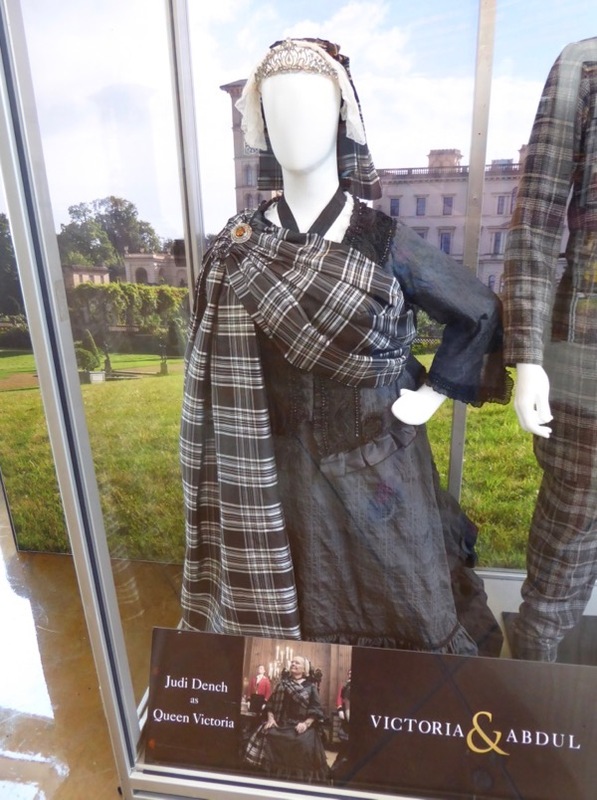 Fans of the legendary actress can also check out Judi Dench's costume from The Best Exotic Marigold Hotel which was set in India. 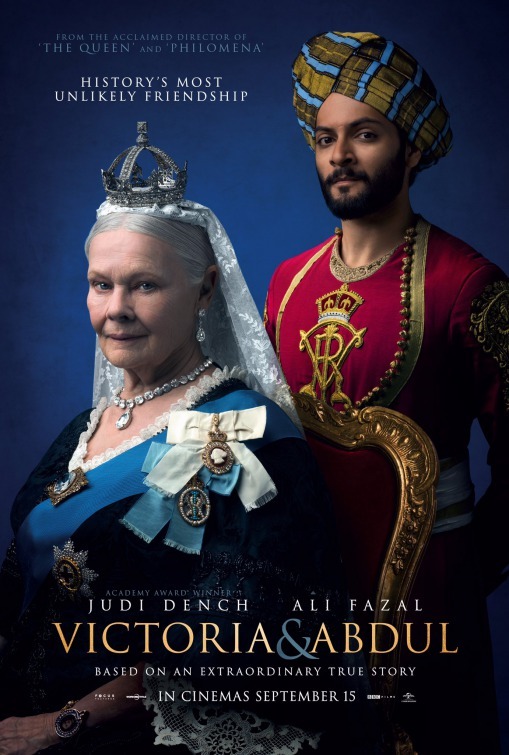 Ali Fazal plays one of Queen Victoria's Indian attendants, 'Abdul Karim', who was selected to serve Her Majesty from 1887 for her Golden Jubilee and during the last fifteen years of her reign, and the Queen was said to be very fond of him. 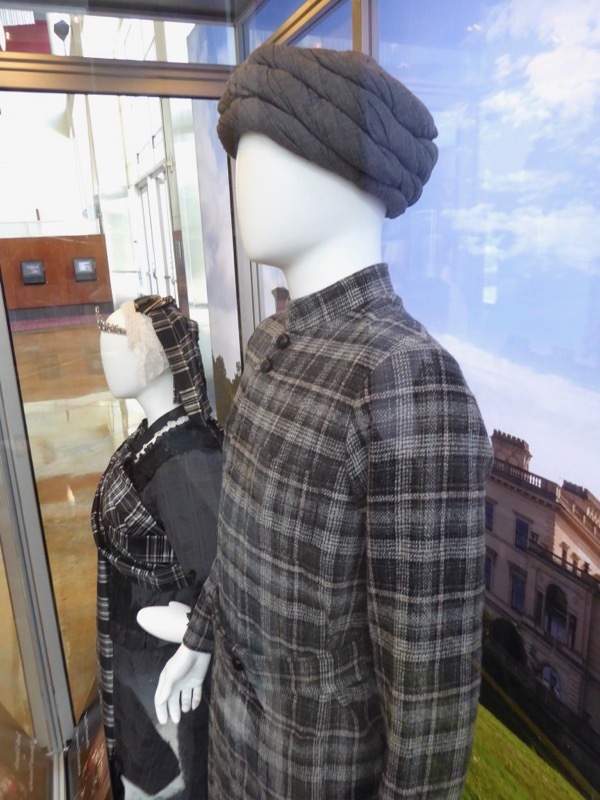 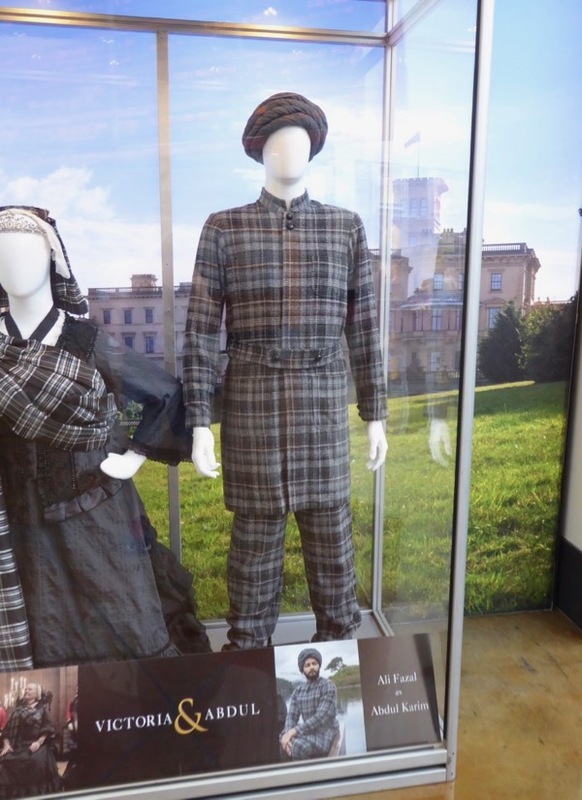 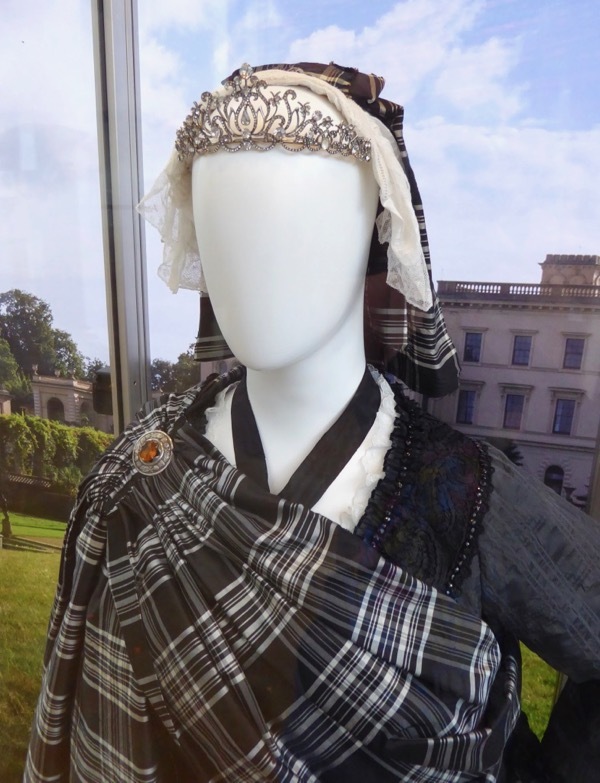 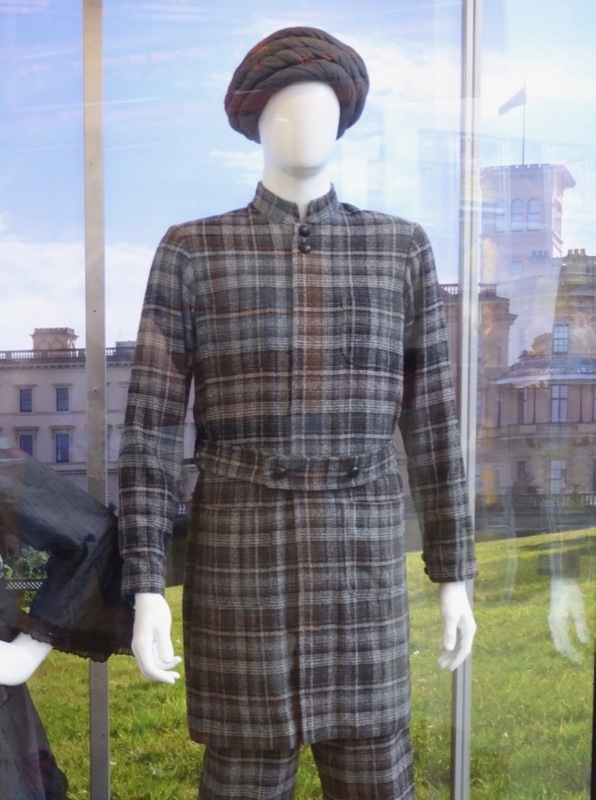 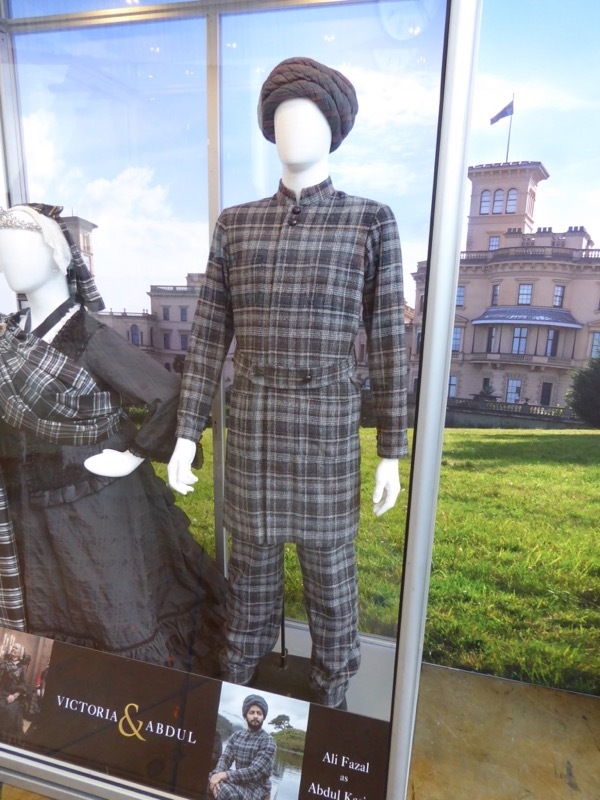 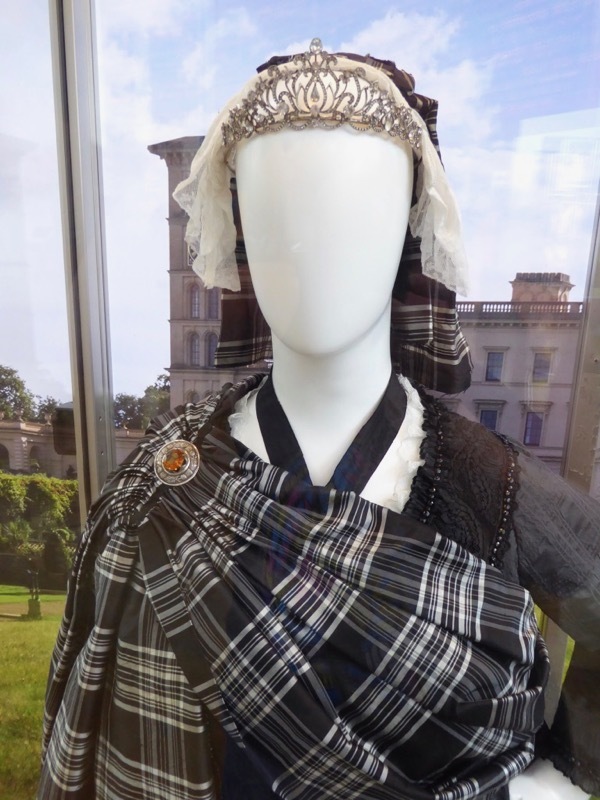 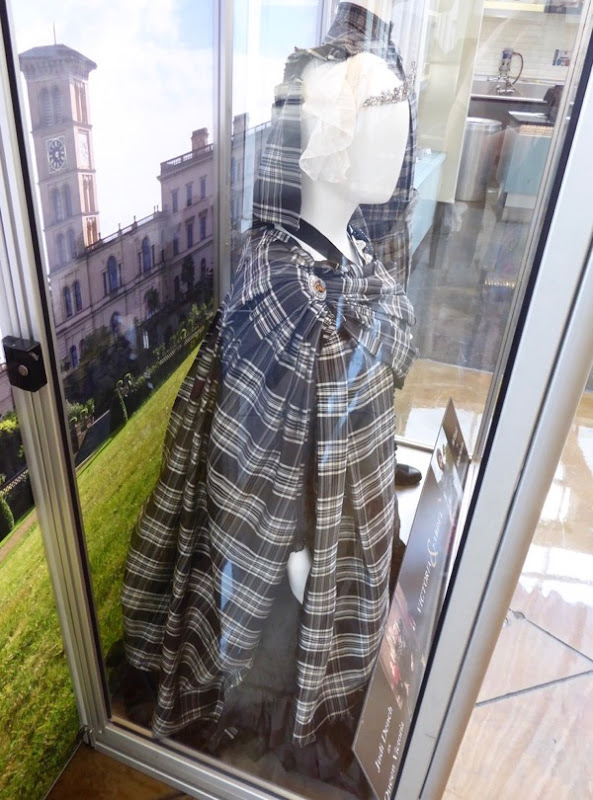 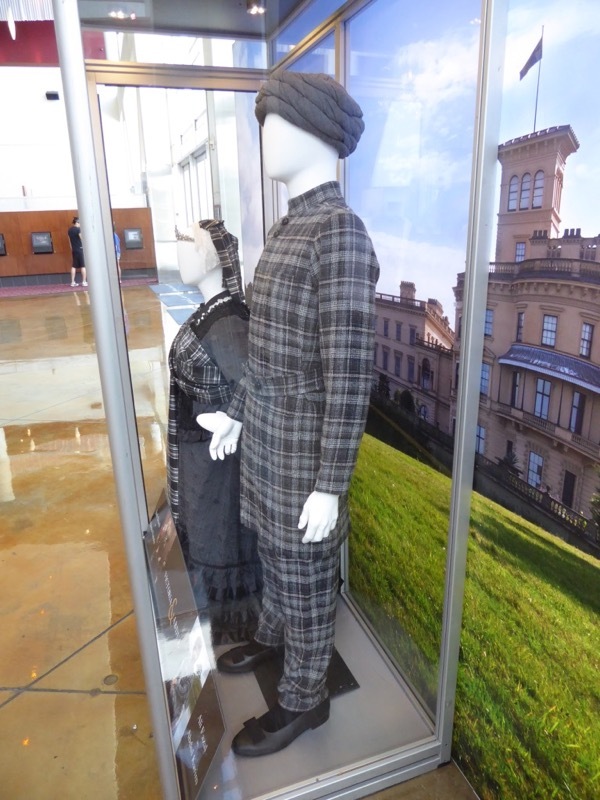 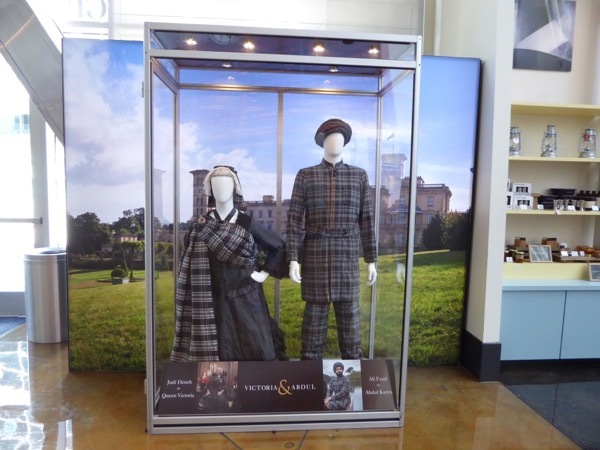 If you like this Scottish-themed wardrobe, make sure you check out Billy Connolly's costume from Mrs. Brown on display too. 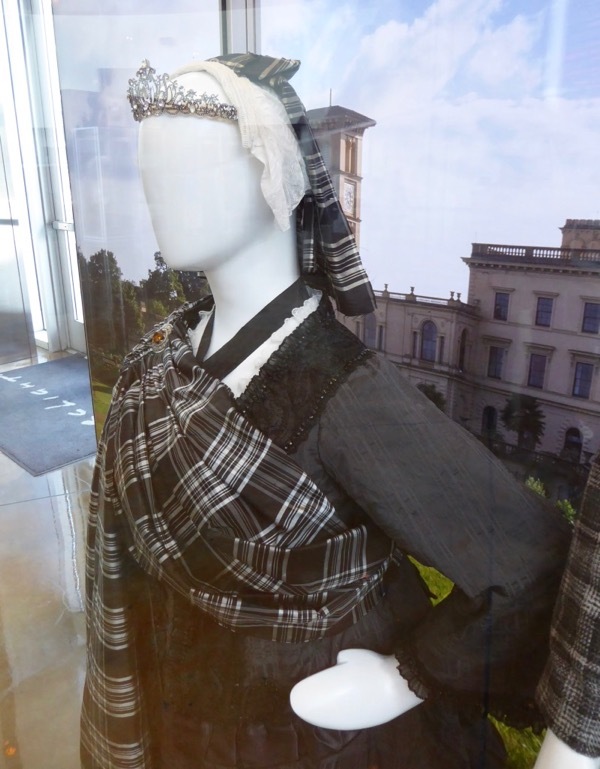 Darlings this film is a great period piece ! 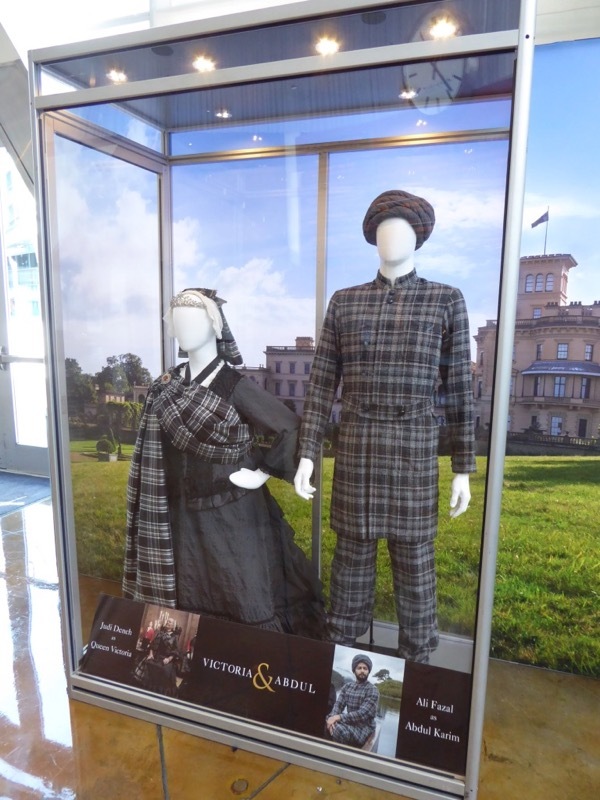 I loved the costumes. 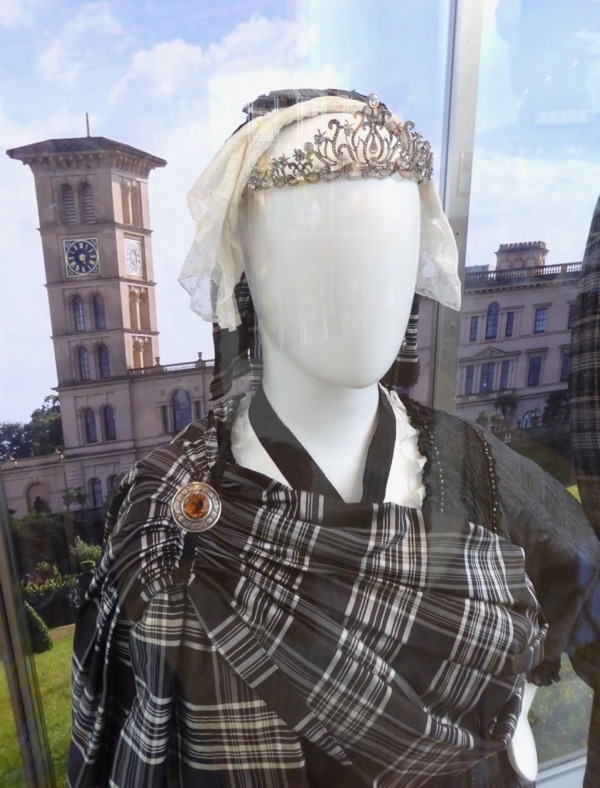 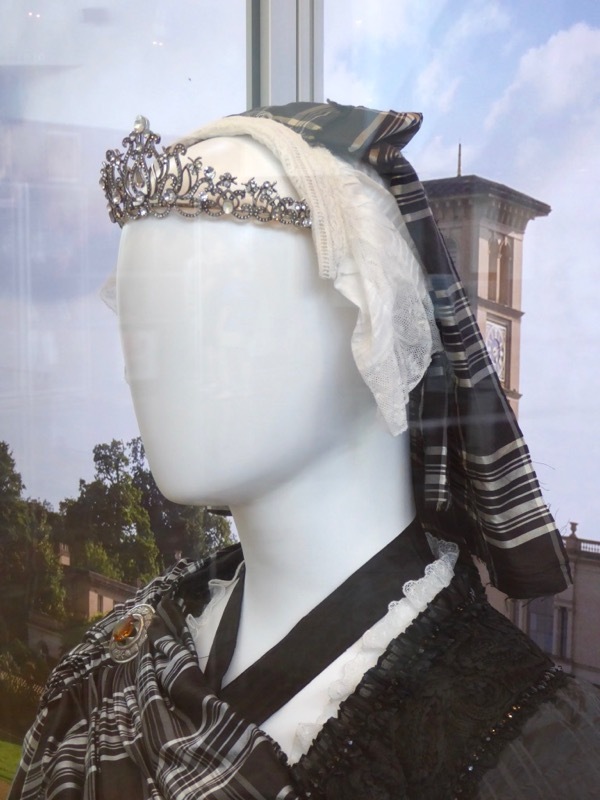 I have written a post on the influence of Victorian clothing on the fashion of today .